Government works on a number of levels. Parish councils were formed in England under the Local Government Act 1894. Before this date a variety of groups based around ecclesiastical parishes had responsibility for these matters, in a system of local government that originated in the feudal system of the 8th century. They are the first tier of local government, they have fairly limited powers but do have a reasonable amount of influence and are the level of government that is closest to the community. Local government is the collective term for local councils or local authorities. Local councils are made up of councillors who are voted for by the public in local elections and paid council staff who deliver services. The central government looks after national affairs, such as health, defence, foreign policy and the environment. The government is responsible for the general welfare of citizens and gives protection to the most vulnerable in society. Members of the European Parliment participate in deciding what laws should be made at EU level, and also in other key parts of EU decision making, such as how money in the EU budget should be spent. Eye Parish Council is, amongst other things, responsible for the Leeds Hall, allotments, cemetary and the war memorial. They are consulted on local Planning Applications, Highway/Road Safety issues, long term planning and wider community involvement strategies. The council has monthly meetings in the Leeds Hall and an Annual General Meeting once a year. Councillors themselves are not paid and the parish council makes decisions on behalf of the people in the parish and is funded from the council tax. Peterborough City Council is a unitary authority and is responsible for education, highways, transport planning, passenger transport, social care, housing, libraries, leisure and recreation, environmental health, waste collection, waste disposal, planning applications, strategic planning and local taxation collection. City Councillors – City Councillors are elected to represent their ward in the City Council. Eye and Eye Green is split over two wards. 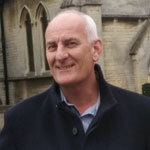 Eye itself is in the same ward as Thorney and is represented by two councillors. Eye Green is in the Newborough Ward which is represented by one councillor. 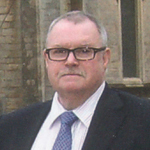 Deputy Chairman Finance & Membership Peterborough Conservative Association. Nigel lives in the ward with his family at French Drove in Thorney. One seat was up for election after the resignation of David Sanders. Two seats were up for election after the resignation of Councillor Dale McKean. Newborough ward became part of Eye and Thorney in 2016. 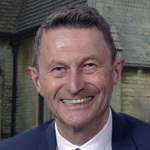 Eye is covered by the Peterborough constituency in the House of Commons.